Ian Kenny is a senior psychology major, tutor, and bookstore lurker. He listens to a shitload of music, reads ravenously, and is teaching himself several languages and musical instruments when he can tear himself away from Khan Academy. He recently founded a religion with the sole intent of messing with the future. The book is divided into three parts, the first of which establishes the historical and political context in which Jesus lived. But fear not, loathers of history, there is more than enough rioting, protesting, civilian slaughter, bloodshed, beheadings, crucifixions, mass suicides, roving assassin gangs, wandering prophets (dozens), political drama, warring armies, insurrections, widespread destruction, racism, sexism, xenophobia, and religious zealotry to make you think you’re reading Game of Thrones. Rome occupies the Jewish homeland and uses the center of the Jewish cult’s faith (the Temple of Jerusalem) to maintain hegemony over the Jewish masses, many of whom are royally resentful of Rome for daring to occupy the land their God said they could have (the same land that their God also told them to keep free of non-Jewish foreigner scum). In a cycle that repeats many times over, prophets decry the heathen hegemony emanating from the Temple of Jerusalem, then declare the Temple, the priests, and the rule of Rome invalid, then try to inspire an organized Jewish revolt before they are killed by Rome. Jesus was one of several illiterate, homeless, acetic peasant leaders (the book mentions another 5 or 6 by name who are known to history) claiming to be the one prophesized to liberate the Jews from Roman rule and set up the Kingdom of God on Earth who were killed without fulfilling a single one of these prophesies. It isn’t until the second part of the book that we abandon the macro-historical analysis of the time period and focus in on the life of Jesus of Nazareth and the impact he made in this period of time in the world. Details are sketchy, but Jesus of Nazareth was very much interested in resorting to organized revolt and employing violence to free the Jews from Roman rule. 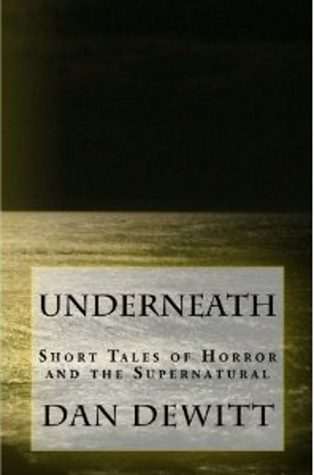 The book casts doubt upon the historical accuracy of many of the more famous tales associated with Jesus Christ the religious figure, including the born-of-a-perpetual-virgin claim (Jesus had several brothers, one of whom, James, is a fairly well known Jewish historical figure, who was instrumental in preserving Jesus’s teachings after the death of his brother), or his discussion with the Roman governor Pontius Pilate before his execution. The book clarifies the context of many of his more famous sayings, for example, his “love thy neighbor as yourself” line was intended to tell Jews how to treat other Jews, not how to treat everybody. The books suggests that Jesus did actually ride into Jerusalem and trash the Temple in a badass fit of rage, and was executed (though he likely had no touching conversation with the Roman governor Pontius Pilate, a cold and cruel man who hated Jews with a passion and had executed many thousands of Jews for protest or sedition, and would have had no reason to personally see Jesus for anything beyond signing his execution paperwork). The book frequently emphasizes that none of the famous biblical accounts of Jesus were written during Jesus’s lifetime, nor were any of them written by people who knew Jesus when he was alive. This brings us to the third part of the book, which describes how Jesus of Nazareth, unlike the many dozens of other failed Messiahs, came to be remembered for thousands of years after his death and spawn one of the most popular religious movements in the world. The reasons mostly boil down to his followers being scattered and dispersed throughout Rome after Rome finally lost its patience and leveled Jerusalem. Jesus of Nazareth, having been a reactionary protester, was not nearly as popular after the failed Jewish revolt, and was thus recast as Jesus Christ the pacifist, an otherworldly vessel of God incarnate who was above caring about worldly affairs. 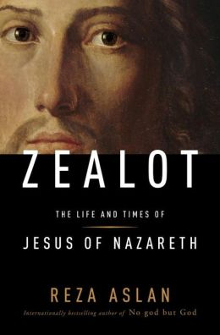 The third part of “Zealot” describes how little by little, over the course of decades after Jesus’s death and the destruction of Jerusalem, Jesus of Nazareth was re-invented as Jesus Christ, and all traces of Jesus of Nazareth’s roots in the Jewish independence movement were obscured and forgotten. It was in this period when the Jesus Christ we know of today was formed, and huge religious trends associated with mainstream Christianity were set in motion that still effect our lives today on a massive scale. One of the most disturbing revelations for me was the fact that Jesus’s famous talk with Pontius Pilate, in which he explicitly blames the Jews for killing him, was added to the gospels during this time to take the blame of his death off of Rome (for these books were being written by Christians trying to convert Romans). Images of the Holocaust and of Mel Gibson’s drunken ramblings flew through my head at this point, and I marveled with loathing at how such inconsequential editing choices made today can contribute to massive waves of racism, ignorance, hatred and death thousands of years in the future. “Zealot” is relatively short (216 pages, followed by 60 pages of copious notes) and would be a great read for anyone interested in getting an introduction to the obscure, surprising history behind one of the world’s most beloved religious figures. To anyone who heavily relies on the Bible being an infallible historically accurate account of the life of Jesus, this book will likely piss you off beyond measure. To accomplished religious scholars, this book will likely come off as a brief summary that could have gone into much more detail and analysis, but there is plenty of information on historical accounts, historical and religious documents, and translation discussions in the vast notes section of the book. This book humanized Jesus in a way the gospels never could (which is understandable, considering the point of the gospels is to convince you that Jesus is God and perfection incarnate). To any who feel that I’ve included too much plot summary in the book, I assure you I have barely scratched the surface; there is far more information, drama, and intrigue beyond what I have told. In addition to recommending this book, I also recommend you check out the absurd and unintentionally hilarious Fox News “interview” with Reza Aslan on the topic of this book.